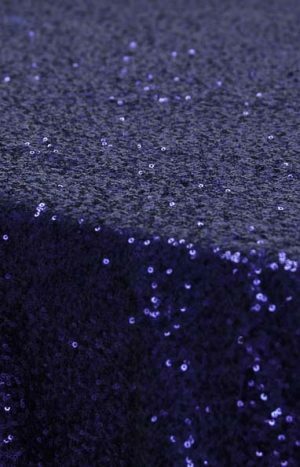 Rental Tablecloth Linen Glitz Sequins Round 132 - Navy Blue in Houston TX and surroundings areas. 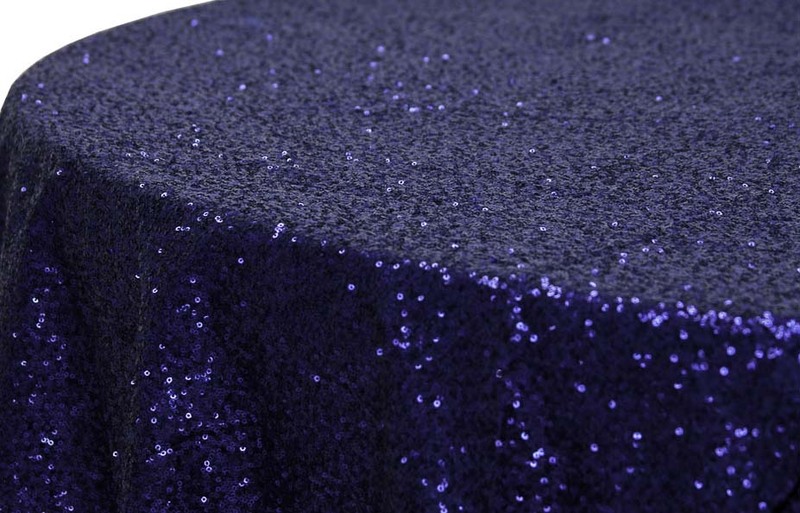 Rental Tablecloth Linen Glitz Sequins Round 132 - Navy Blue in Houston TX, for Wedding Ceremony, Wedding Reception, Corporate Events, Parties, Anniversary Celebrations,Engagement Party, Rehearsal Dinner, Birthday Party, Private Party, Baby Shower, Prom, Graduation, Quinceañera, Sweet 16, and all other special events. Our Tablecloth Linen Glitz Sequins Round 132 - Navy Blue for rent are made from a high quality striped damask polyester material. ..."Egna was the best wedding planner we selected for our wedding day. After firing our previous wedding planner due to neglect, miscommunication, and ignoring our emails, Egna came to our rescue. She worked within our budget and we hired her for month of coordinator. Right away, she sketched out our plan and showed us how our decor, flowers, and colors would fit into our Italian theme. She always returned our emails within hours or less than a day. She was flexible to our guest count and also when I changed my flowers a week before. Egna is a wonderful, great person who knows how to lead and can think quickly for any situation. For example, my husband and were getting pulled in different directions. She told us to relax, got caterer to bring our plates and our drinks. She was always there and cued us when it was time for each event. We had a small issue with DJ and Egna did not trouble us with the problem. She added that special touch of Mrs. and Mrs. sign on our chairs. Egna made our flowers and they looked great. Our wedding reception decorations were royal blue and orange was more beautiful than I had envisioned and everyone kept talking how nice everything looked. We plan to recommend her to all our friends and family."